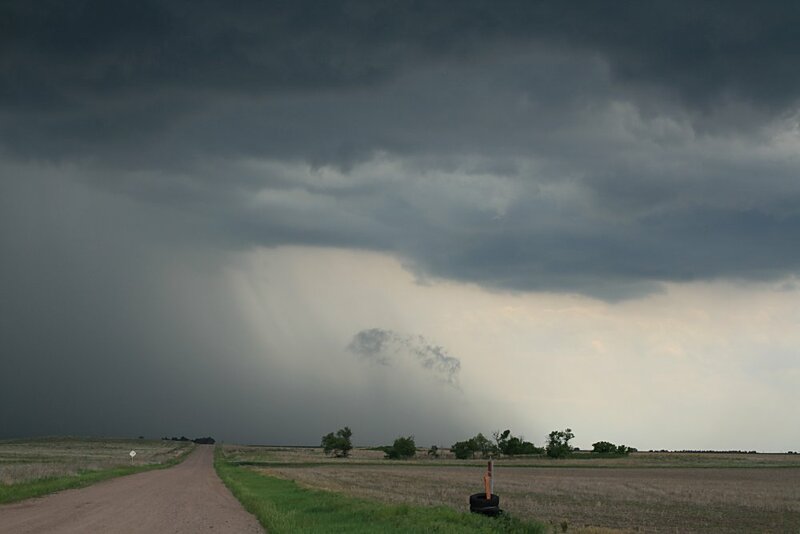 Nebraska was in the middle of an unusual weather period....stacks of moisture, weakish lapse rates, weakish shear. 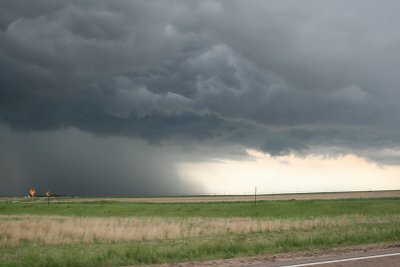 The near stationary front straddled the southern part of the state. There was also lots of mid level cloud over most of the southern and central regions. Today we need to look for clear air which would aid in convection, and we decided that far southwest Nebraska would fit the bill. We headed south from Alliance to Kimball...deep low level cumulus was producing drizzle and showers and temperatures in the mid 50's. 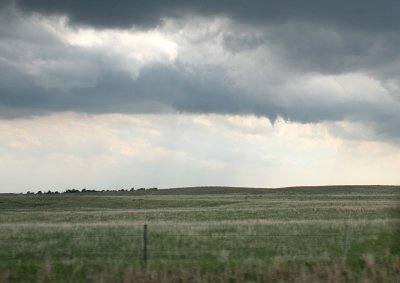 In Kimball, we travelled east on I-80 to Ogallala. Multicell activity had developed over far northern Kansas and extended into southwest and central south Nebraska - initially looking rather disorganised, but with some potential...Radar showed a strong cell south of North Platte which briefly became tornado warned and later a tornado was reported sighted near the I-80 further east. 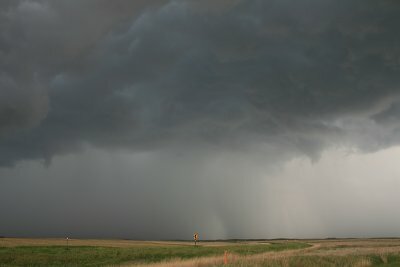 We were too far west to do anything with this cell, but spotted an interesting radar return near Imperial, south of our location. 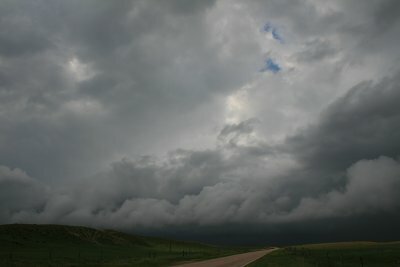 We drove towards Grant, however the atmosphere, although warm and humid, was murky, with virtually no visual of cloud bases or storm viewing. 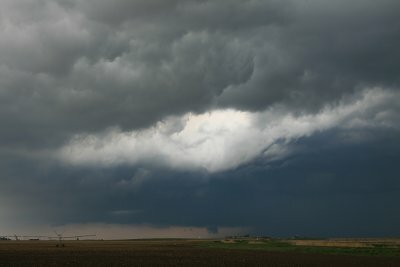 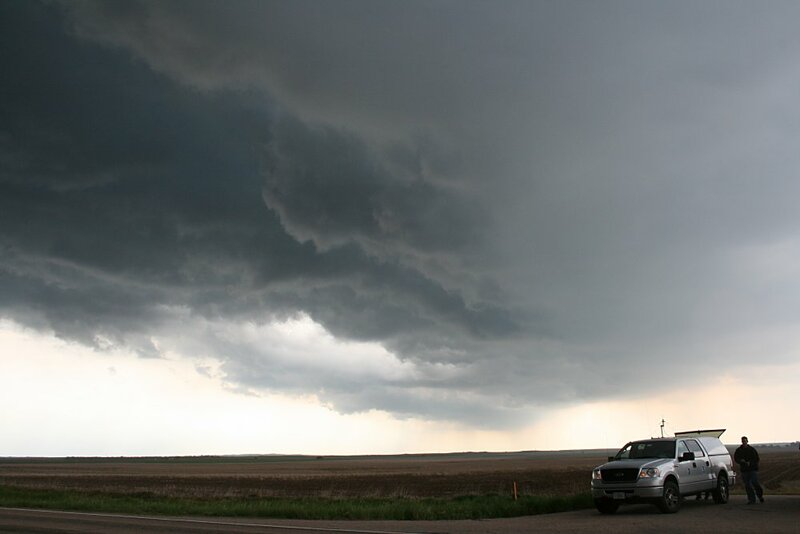 South of Grant, we saw a pretty reasonable looking darkening, which turned out to be a beefy outflow alignment. 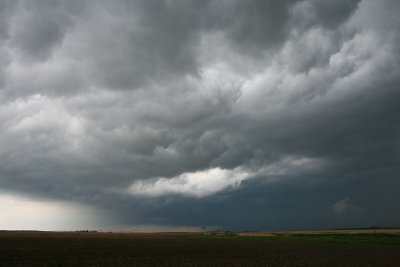 It appears that the original storm near Imperial earlier had weakened, but its outflow boundary continued to move north. 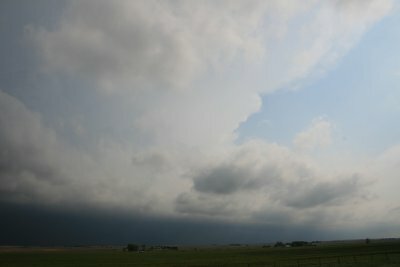 We pulled over and studied this boundary line, which extended westward as a narrowing feature but with very strong convection above. 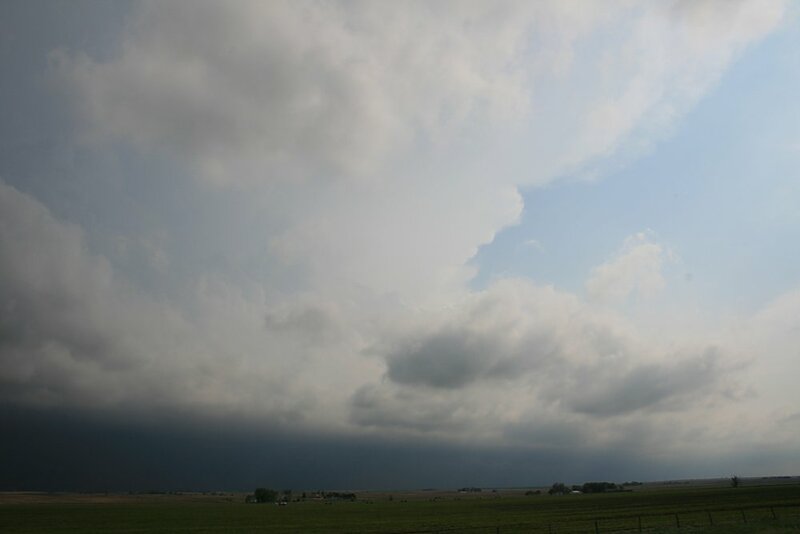 To the east, we could see what appeared to be a wall cloud 15 or 20 miles distant. 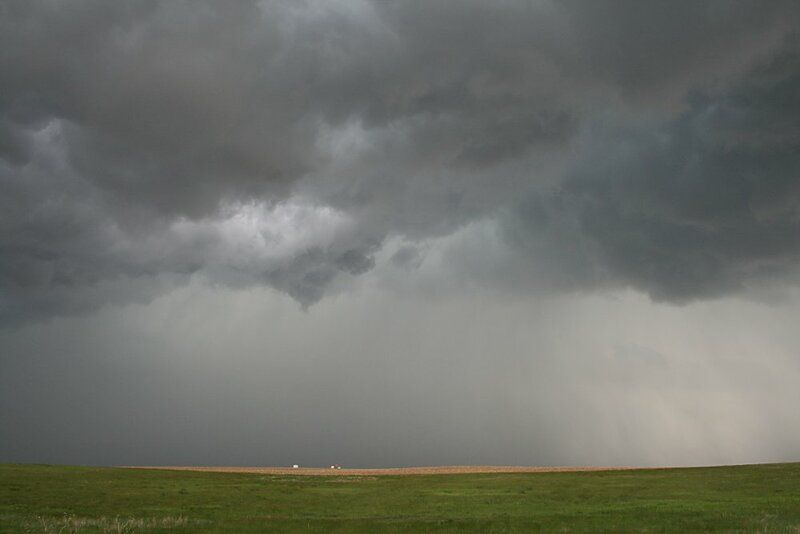 Over the next 15 minutes, a separate large cell developed near our location along the outflow boundary, and became quickly the primary cell in our area. It developed rapidly, producing a very weak funnel on its western edge and a pretty good rainfoot / microburst. 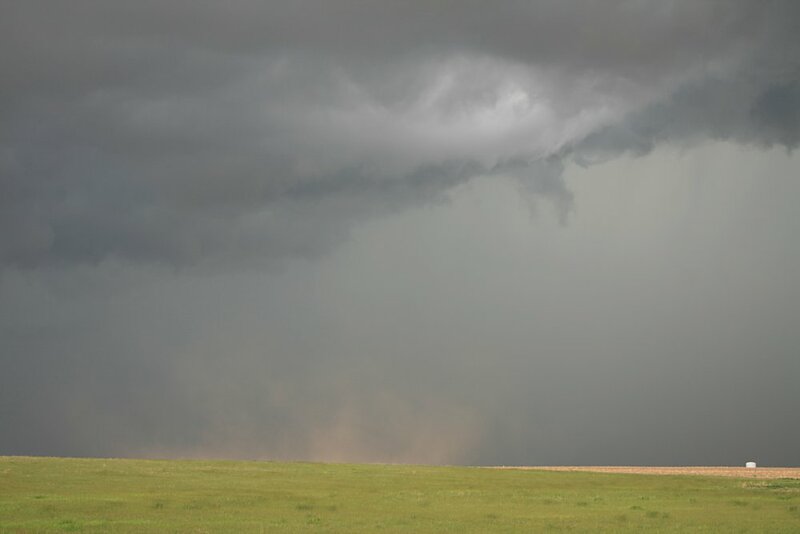 The enhanced outflow from this cell surged the boundary outflow locally producing an interesting gustnado in the field adjacent to our location. 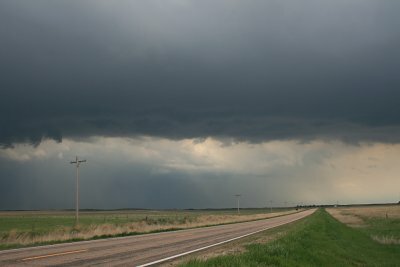 However, on this western side of the storm complex, new cells were being overrun by the relatively fast moving outflow boundary and were affected by limited warm, moist air inflow. We always thought the eastern edge of the complex was a better choice for sustained warm air inflow. 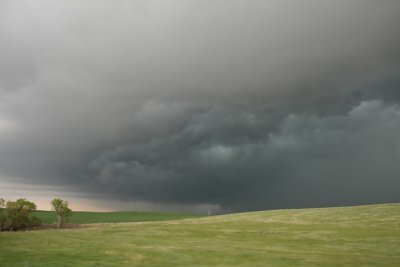 We headed back to Grant and then north to the interstate. Just north of Grant we noticed a strange hole in the post outflow boundary alignment (see picture)...its odd appearance took our attention when we noticed it rotating(? 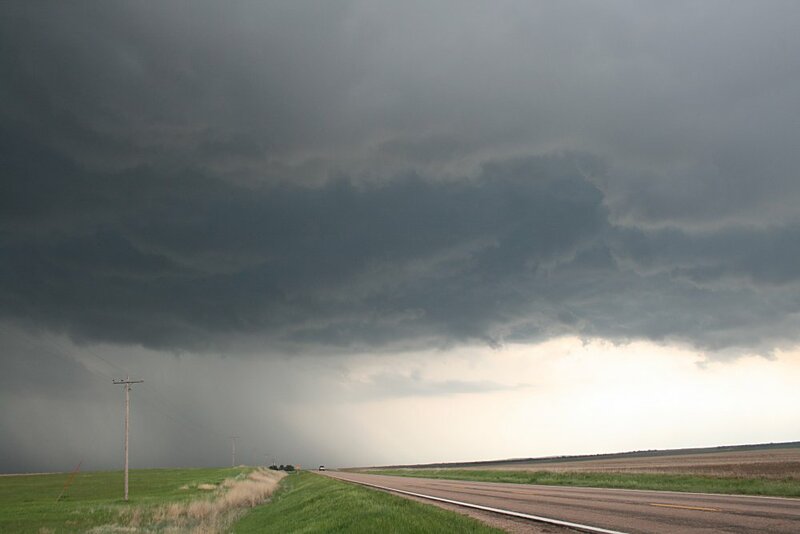 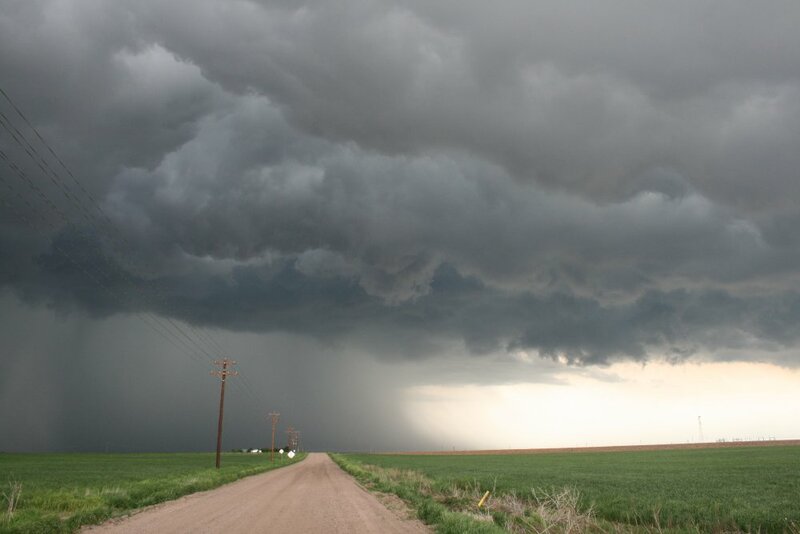 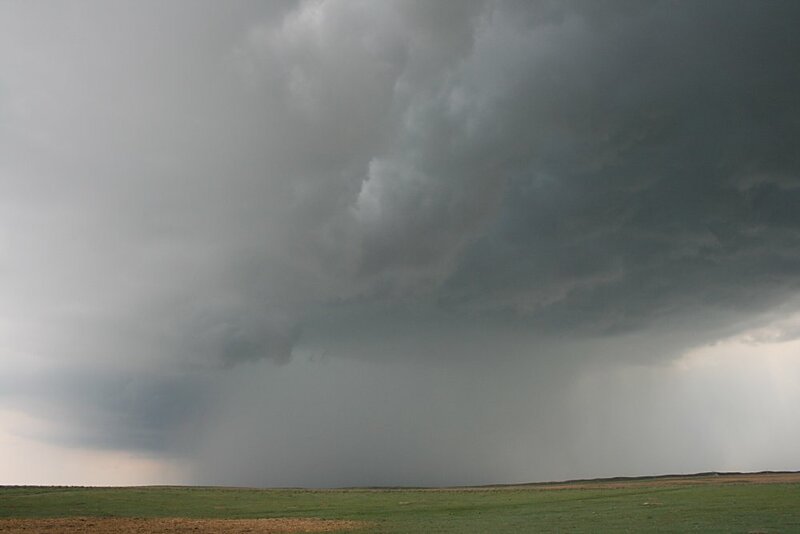 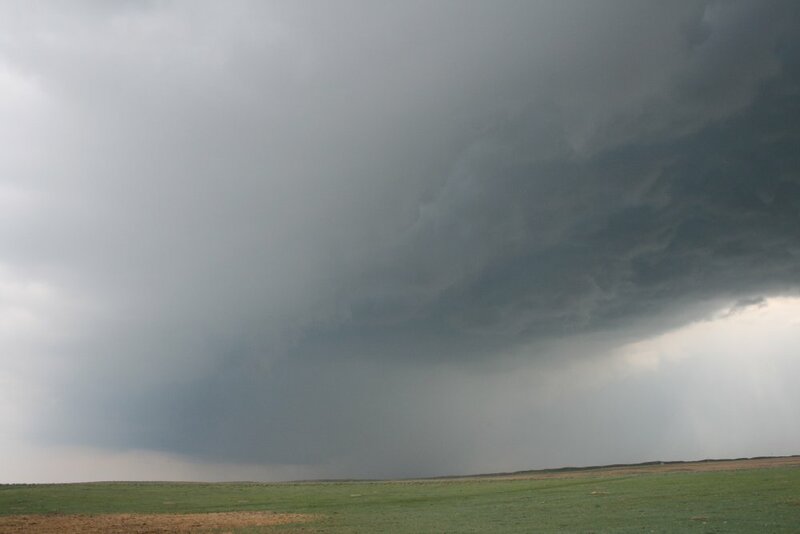 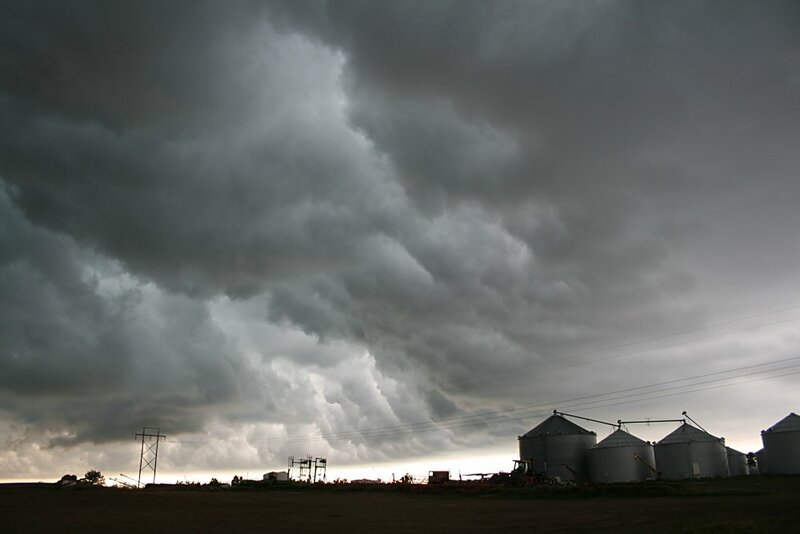 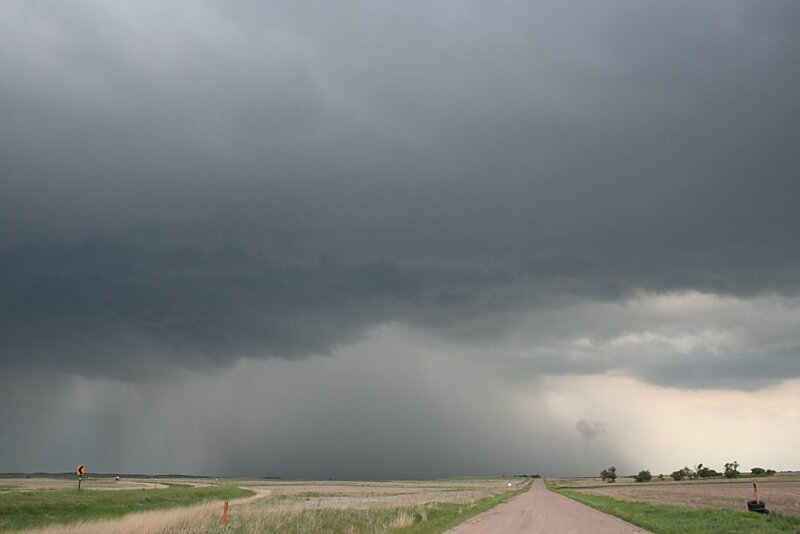 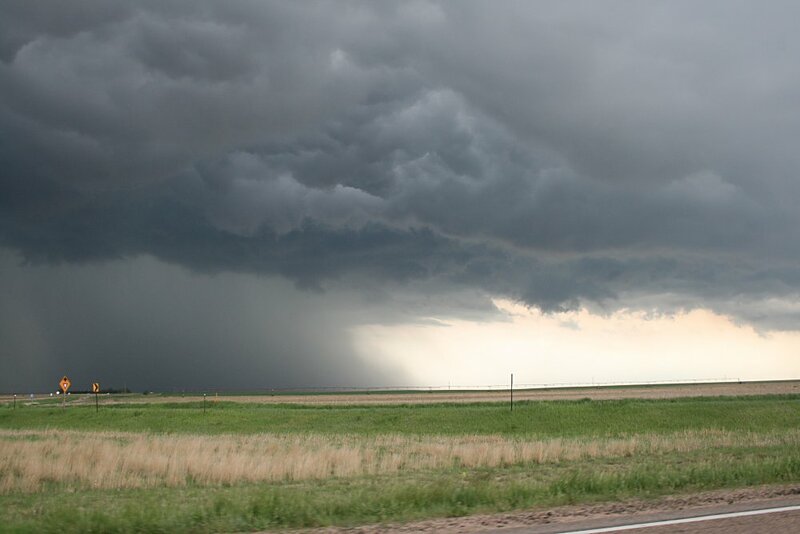 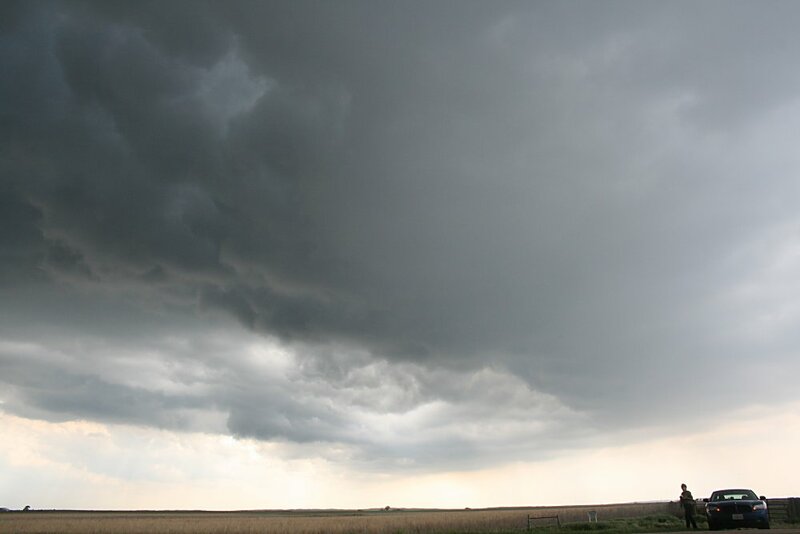 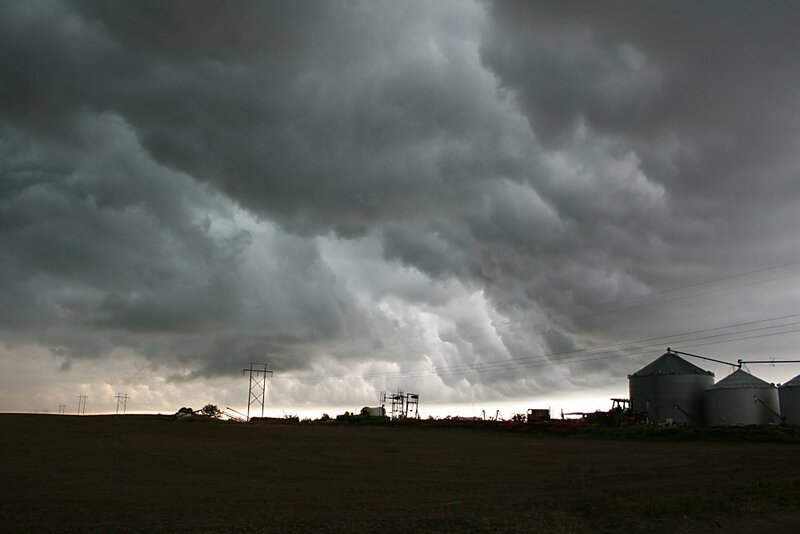 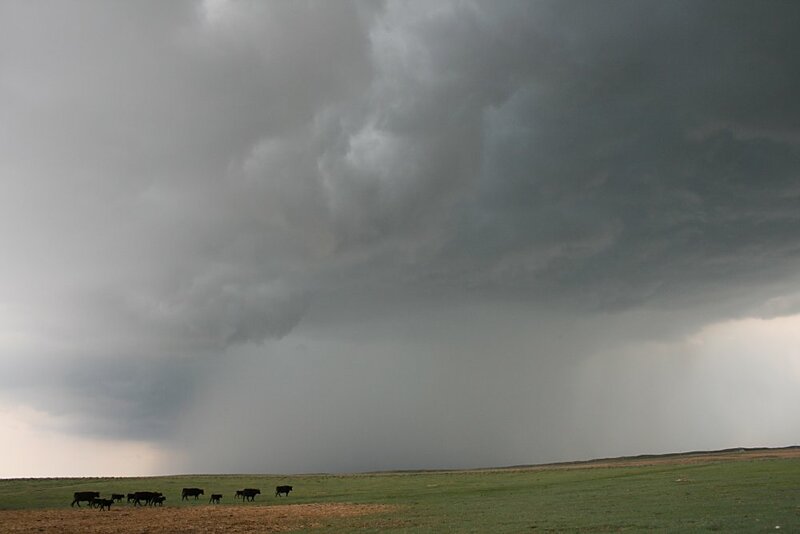 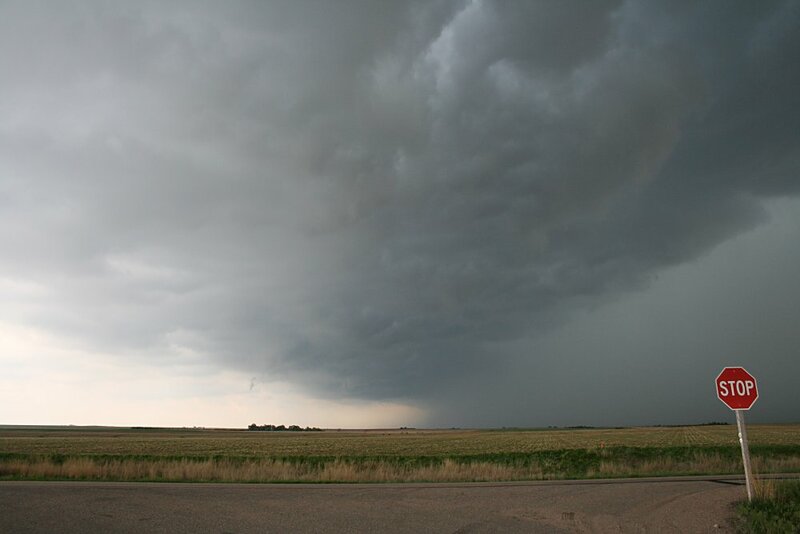 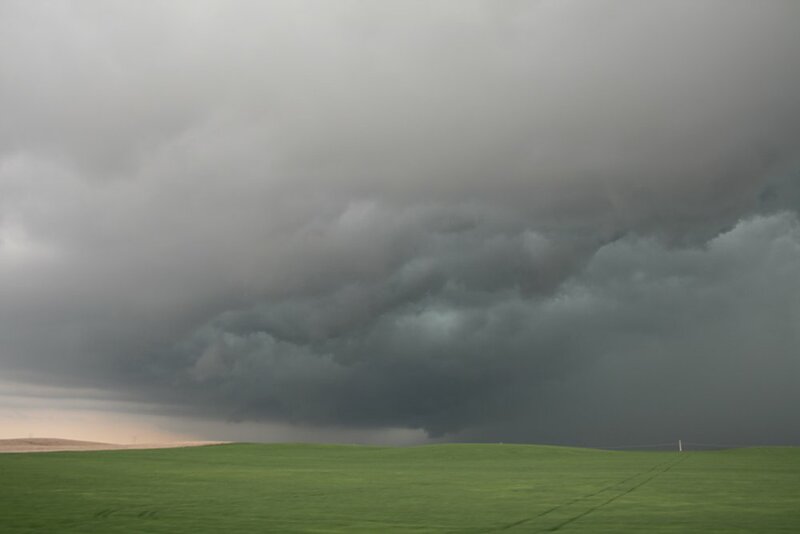 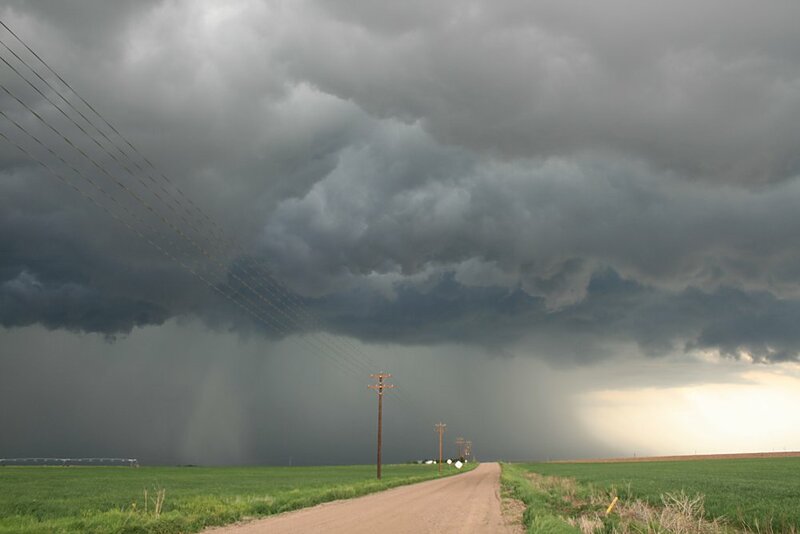 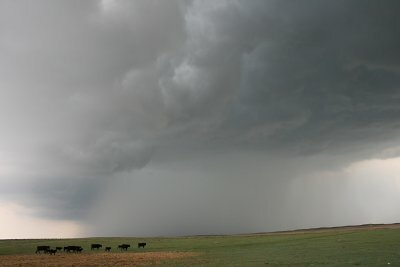 ).Once on the I-80, we drove east for nearly 20 miles - after 15 miles or so, the main infeed area of the storm appeared (eastern quadrant) with a prominent warm air inflow and V-notch...occasionally a wall cloud would form. This was the business end of the storm. We drove off the interstate onto a dirt road and photographed / videoed the outflow boundary with a bow shape to the north arcing into the main inflow notch of the storm. 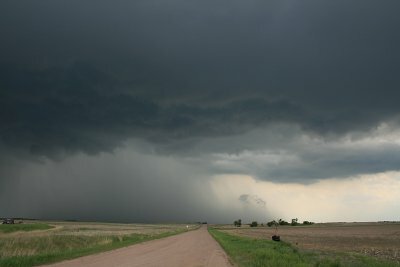 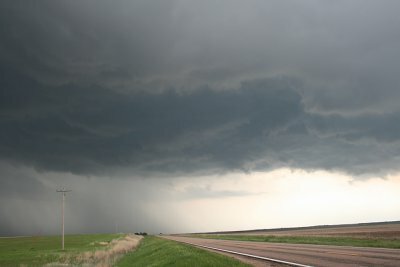 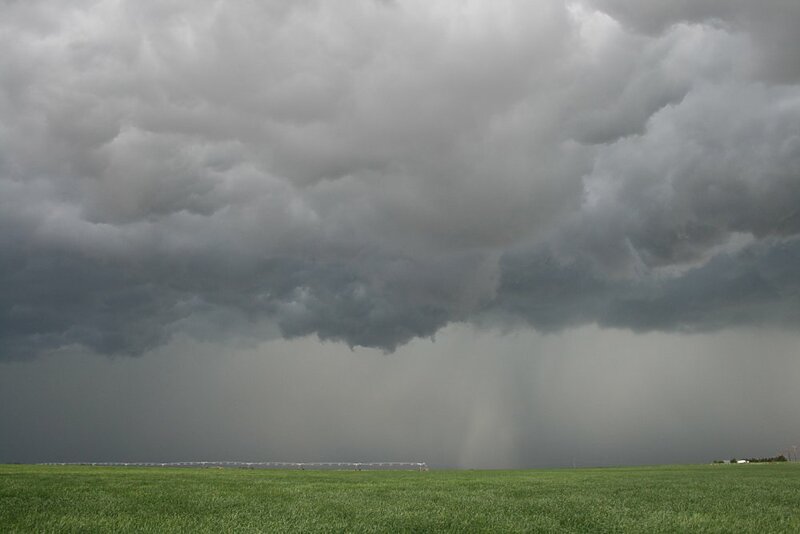 Rapid cg's marked the locality of the main updraft core with its attendant cannon shot, however as the storm was now moving north of the I-80, it started to move into an area of progressively cooler, though moist air, and from here the storm gradually weakened, spreading out in early evening to a mid level rain band. We paced the outflow boundary north towards Arthur, but the plug had been pulled......the end of another great storm day for us Aussies.